Can you imagine choosing to be homeless? In 2012, we made the decision to stop paying our mortgage and instead spend our money on travel and adventure. We no longer have to pay property taxes, home maintenance, homeowners insurance, monthly utilities like sewer, water, garbage, power and cable television. With a low monthly overhead, we are able to travel to new places and meet new people. We don’t think of ourselves as homeless, yet we are nomads with no permanent home…and here’s why we are loving it. We spend the majority of our time as house sitters, taking care of the homes, and sometimes pets, of other people while they are away. It is our preference to choose house sitting opportunities that are three months or longer for a few reasons. The longer the house sit, the more months we have to amortize the cost of traveling. Staying in one place for a few months affords us the leisure to explore the area thoroughly at a comfortable pace. We call this “slow travel“. Finally, living in one house for an extended period is a comfortable, low stress lifestyle. House sitting is a great way to see the world inexpensively, but it can be challenging to line up one house sitting assignment after another without any gaps in between. But we’ve discovered that you don’t have to. 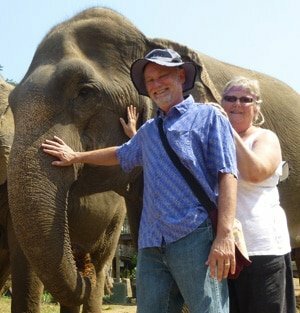 While we were enjoying our house sitting job in Western Australia, we began to explore the affordable adventure travel options in nearby Southeast Asia. Rather than trying to find a house sitting job that began immediately, we set our sights on one that began three months down the road. This enabled us to add some adventure travel into our itinerary. People have written to us asking what we do when we don’t have a house sitting job lined up. It has become clear to us that we actually prefer to have a gap between our house sits. Not only can we take advantage of inexpensive travel opportunities that are close to where we are house sitting, we appreciate having the flexibility to visit with family and friends in the U.S. Since our travel budget is limited, we want to visit countries where the American dollar goes furthest. 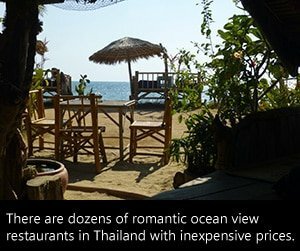 In Bali, for example, we were able to stay in nice accommodations and eat most of our meals in restaurants for less than $1500/ month. We also found cheap accommodations, inexpensive food and affordable travel in Chiang Mai in Northern Thailand. There are many other countries in Southeast Asia where one can live very cheaply in between house sits. These locations work best combined with one of the many available house sitting jobs in Australia or New Zealand which are both nearby. We have located similar affordable adventure travel options to combine with house sits in the US. There are several countries in Central and South America where the lifestyle is affordable and engaging. 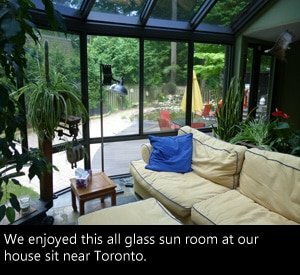 House sitting in this way, creates the flexibility for travel opportunities in wonderful places. By traveling to countries where costs of living are much less than in the United States and Europe, the combination of house sitting and adventure travel is a perfect match. While we enjoy the excitement and new experiences found in foreign travel, we also enjoy having the space to plan our next adventure while house sitting. This is also when we do our writing and organize our photographs. Planning and researching adventure travel requires quite a bit of time and energy and it is nice to be living comfortably while doing it. Trips to exotic locations and house sitting in interesting places for longer periods, is the perfect way for us to pursue our goal of a relaxing lifestyle of fun and adventure. 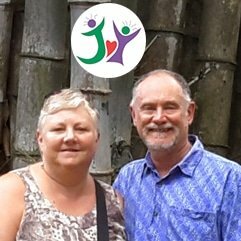 Hi Laurie and Neil, everything in your post here resonates with our own experiences of the past year since we left everything behind for a life of full time travel and house sitting. It really is the most fulfilling and enhancing lifestyle and we\’re so glad we discovered the wonderful world of house sitting! Thanks so much for your comment. Our lifestyle may not be right for everyone, but for us, it is invigorating, exciting, and a lot of fun. Glad to hear from fellow travelers who are also having the times of their lives. Hello Laurie and Neil. You get around even with slow travel. We enjoy our nomadic lifestyle, too. In Europe we couldn’t have afforded to travel without house sitting (and couch surfing). As we are traveling with our dog, we are a bit limited with our radius. Yep have to agree, we enjoy our travel between sits as well and now schedule our house sitting around it. A great reminder of the wonderful lifestyle we also live in this way. We pick a continent for house sitting and then arrange travel adventures between our house sits. This half year we are in Central America and our gaps will include Honduras, El Salvador, Guatemala and Cuba. We’ve found Mexico to be very inexpensive – our money goes a long way there between house sits, as long as you stay away from the popular tourist spots. We’ve used Airbnb, which although I’ve found generally to be more expensive now, it seems in Mexico there are always some lovely rooms at less than $20. We shop at well stocked local markets to buy food at much lower prices than the supermarkets! Thanks, Vanessa! We so appreciate airbnb for great deals and we always say, in Mexico avocados, limes and bananas a re “free”! Thanks for your helpful blogs! Plan to embark on my very own overseas house sitting adventure next year following seamlessly house sitting Australia for the past 5.5 years. FYI house sitting Down Under is booming, due in part to the high cost of housing in Australia’s major cities of Sydney & Melbourne. In fact, I believe Australia has more ‘country’ dedicated house sitting websites than any other. To help people select the best website for their needs I’ve developed a platform that compares Features, Benefits & Prices of the best house sitting websites for house sitting Australia. Might be of interest to any of your readers heading this way? Thanks so much Robyn-Lea for your comment. We have discovered many great house sitting opportunities in Australia. We really enjoyed our six months there and expect to do it again. Flights from the US are expensive though compared to many other countries. Your site comparehousesitting.com looks to be a valuable resource. Feel free to contact me when you’re planning to come Down Under. I have my finger on the pulse of all-things-house-sitting Down Under: happy to share:) And thank you for the feedback about Compare House Sitting (websites). Means a lot coming from you guys… I’ll be adding another eight sites soon.